So happy to finally have this! Can't wait to read it and see what's in store next for Aria, Perry and the others. The race to the Still Blue has reached a stalemate. Aria and Perry are determined to find this last safe haven from the Aether storms before Sable and Hess do--and they are just as determined to stay together. This week's question: Have any pets? Tell us or show us. I have my bunny Pyrus ^^ He's my little baby. Me and my little brother Sebastian got him a few years back as an early christmas present and when I moved into my own place he let me have him here with me to keep me company. His name is after a danish elf becauase we got him in November and in December the christmas calender they sent on tv each day in December would be with Pyrus so we thought the name would fit him. But really we end up calling him "Pusser" or fatty in english, haha. It's meant with love and is more of a way to call him cute. He loves long cuddles (and long walks on the beach? Naah, he prefers to chase dishtowels more, I think) and there's nothing better than relaxing on the couch with him. Cover reveal: Tempting the Bodyguard by Jennifer L. Armentrout, writing as J. Lynn! TEMPTING THE BODYGUARD will be releasing on May 12, 2014. 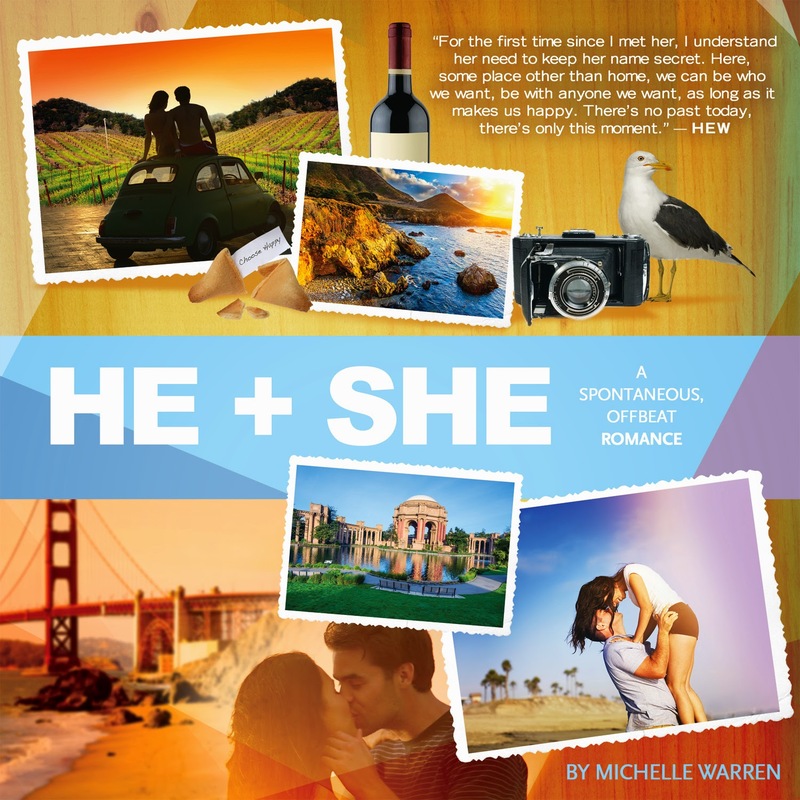 HE + SHE by Michelle Warren HE is trying to piece together his broken life.SHE is running away from her wedding day.TOGETHER, their world is a beautiful lie.APART, their world is a perfect mess.He + She is a free-spirited romance about soul-awakening second chances, heartbreak, and hopeful beginnings. Review: "Under the Never Sky"
Cover reveal "Make it Count" by Megan Erickson! Review "Through the Ever Night"
Review: "Up from the Grave"